LiveWire Supply stocks most types of NEMA and IEC starters, soft starters, contactors, push buttons, relays, overloads, manual motor starters, safety isolation systems, drives, timers, and switches. 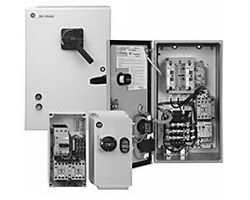 Whether you are replacing parts, building a motor control center, or just need a control center bucket for an existing installation, we are here to help. We can help you with a broad range of applications for complete switching of industrial loads, including solid-state switching devices for frequent switching of resistive loads and motors. All of our products have extremely high contact reliability and compact design, as well as durability and long life - even in extreme conditions. 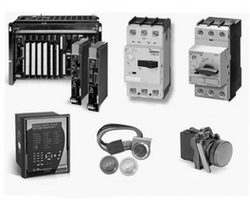 We feature Allen Bradley, Cutler Hammer, GE, Siemens and Square D products which are available and in stock every day. LiveWire Supply can help with all of your motor control applications. Technicians are standing by to help you. Call call 1-800-390-3299 or email us at sales@livewiresupply.com.